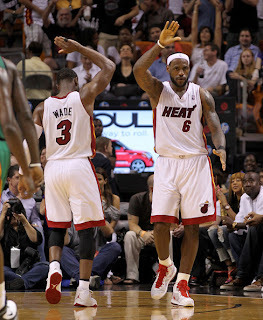 Around the time the "Summer of LeBron" came to a merciful end, it seemed pretty certain that the 2010-11 NBA regular season would be one of the most exciting in recent memory. And although we might have heard one too many Carmelo Anthony trade rumors, what transpired over the 82 game regular season did about as good of a job of living up to expectations as possible. Huge blockbuster trades, the emergence of Blake Griffin, Derrick Rose taking his game to the next stratosphere, the weekly soap opera that was the Miami Heat, and having relevant basketball in New York City again certainly kept things interesting. But even with all of the twists and turns, the last two weeks of the NBA regular season prompted pretty much every guy to turn to his friend and ask "when are the playoffs starting again?" When Drew Gooden is notching triple-doubles and Jordan Crawford has suddenly transformed into Michael Jordan, you know it's time for the regular season to come to an end and for the playoffs to begin. As riveting as the majority of the regular season was, the NBA playoffs are what every basketball fan has been waiting for and it's finally upon us. At this point we all know which teams will be playing each other and which matchups will be the most important in the 2011 postseason. So instead of doing an NBA playoffs preview that focuses on what external matchups will determine who hoists the Larry O'Brien Trophy, I'll be looking at what the best teams and players will have to overcome internally if they're going to have success this postseason. Because sometimes a team's internal struggles can be more difficult to deal with than the opponent they're facing on the court. Whether it should happen or not, Kobe Bryant is often compared to Michael Jordan and it usually makes for an interesting discussion as long as you have at least one Laker fan in the room. While Kobe will never be the icon that Michael was (and still is), if Bryant and the Lakers can bring home another title to Los Angeles, he will have the same number of rings as his airness. If the Lakers successfully pull off another three-peat, it certainly doesn't mean that Kobe is as good of a player as Jordan was, but winning six championships in today's NBA is nothing short of amazing. Besides matching Jordan's accomplishment, Kobe's sixth ring would vault him over such NBA greats as George Mikan and Magic Johnson, while putting him in the company of Kareem Abdul-Jabbar, Bob Cousy, and Scottie Pippen. As things stand, Kobe has to be considered one of the greatest players to ever play the game but his sixth ring would elevate him into a whole different dimension and at least in one instance, he would be on par with what Jordan was able to achieve. Jordan wasn't the best because he put up great numbers, he was the best because he won. Jordan's six championships with the Chicago Bulls are legendary and although it's not anywhere near Bill Russell's record for most ever, there's something hallowed about what MJ did in Chicago. With another ring Kobe will at least give Laker fans some more ammunition in their arguments and perhaps it will him move up the list of greatest NBA players to ever play the game. Kobe has a killer instinct on the court and is an extremely focused player but with so much on the line, it's not inconceivable that he start feeling the added pressure of what his sixth championship could mean and prompt Marcus Jordan to say something like this again. The Lakers had a very hot and cold 2010-11 regular season. During certain stretches they looked like a team that was destined to three-peat and during others they looked a little too old and worn down to hoist the Larry O'Brien Trophy again. 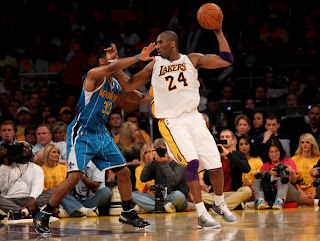 Whenever critics started to question this Los Angeles team, Kobe and Co. always seemed to have an answer and winning 17 of their first 18 games after the All-Star break spurred on by the resurgence of Andrew Bynum, certainly showed what the Lakers are capable of. Bynum's tough play around the basket in the second half of the regular season was extremely impressive and the young big man's combination of length and size can definitely change games. Bynum averaged 11.1 points, 12.7 rebounds, and 2.36 blocks per game while providing LA with a physical defensive presence in the paint that no one else on their roster can. There's little doubt that the Lakers will need Bynum banging under the basket if they're going to win another title which is why it was so potentially devastating when he injured his surgically repaired right knee in the teams second to last game before the playoffs. 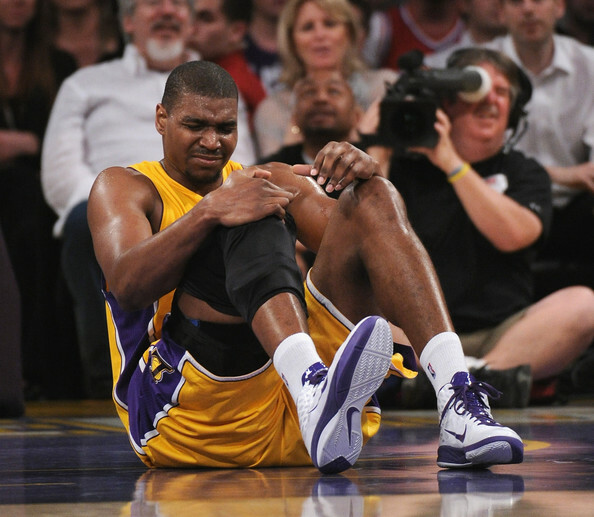 Thankfully, Bynum's injury turned out to be nothing more than a simple bone bruise and he was back in the lineup for the Lakers first playoff game against New Orleans. But for a player who is this big and has struggled this much with knee issues in the past, the Lakers are going to need Bynum to battle against his balky knees throughout the long grind that is the NBA playoffs. The seven-footer showed just how tough he was during last year's title run when he played through a torn meniscus in the playoffs, but it seems that Bynum is just one awkward step away from going down again which would leave the Lakers in a really tough spot without their physical paint presence. The Knicks finally pulled the trigger and brought Carmelo Anthony to New York but in order to engineer one of the biggest trades in NBA history they basically had to surrender half of their roster to the Nuggets. Amare Stoudemire and Carmelo Anthony make an explosive and extremely talented duo but when your team undergoes such a major identity change so late in the season, it's going to make for a rocky adjustment period. Even if you overlook the fact that Chauncey Billups isn't the perfect point guard to run D'Atoni's uptempo style of play or that Anthony's brand of offense also doesn't really mesh with what D'Antoni wants to do, the simple fact that the majority of the Knicks roster hasn't played with each other for very long makes everything more difficult. After acquiring Carmelo, the Knicks went just 14-13 and it was clear that a team which added five new players to its roster in late February endured its share of growing pains during the second half of the regular season. Just as the Heat found out at the start of the season, it takes time for a new collection of players to gel especially when you're attempting to merge the playing styles of two superstars like Carmelo Anthony and Amare Stoudemire together. The Knicks have some holes on their roster, most notably the lack of a true big man, but when you have two players as talented as Anthony and Stoudemire plus a point guard in Chauncey Billups (if his knee will hold up) who has plenty of postseason experience, this team shouldn't be taken lightly. 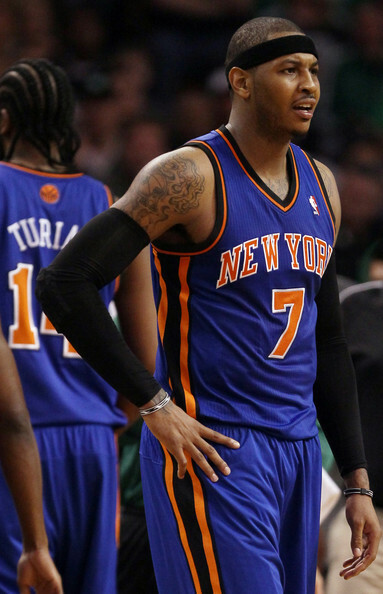 But even with one of the best duo's in the NBA, the Knicks biggest obstacle at this point seems to be their lack of chemistry which reared its head many times during the last 27 games of the regular season and could easily derail any chances of them making some noise in their first playoff appearance since 2004. 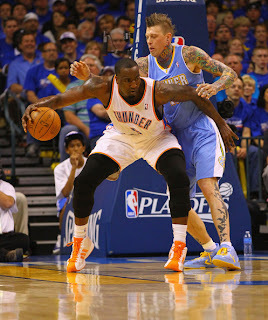 In a league which is starved for physical big men, Kendrick Perkins is a very valuable commodity. 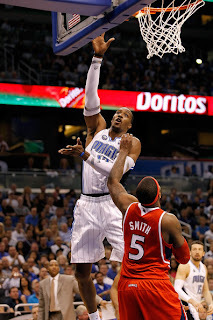 The 6'10'' 280-pound Perkins is one of the strongest and most intimidating post players in the NBA which prompted the Thunder to jump at the chance to add him to their roster at the trade deadline. Not only is Perkins big but he's certainly not afraid to entertain some extracurricular activities after the whistle has blown, which makes him the perfect enforcer around the basket to protect guys like Kevin Durant and Russell Westbrook. Over the course of his young career, we've already seen Perkins get into more than a few altercations with players like Shaq, Dwight Howard, and most recently Nene. As talented and promising as the Oklahoma City Thunder were before the Perkins trade, the team certainly lacked an edge. After the addition of a player like Perkins, you can't say that about them anymore. It's no longer the NBA of the 1980's and early 90's where physicality and hard fouls ruled the paint, but a player like Perkins can definitely help a young Thunder team take the next step this season. If he's going to do so, it's going to be Kendrick Perkins vs. the world as he takes on whichever big men on the opposing team happen to rub him the wrong way. 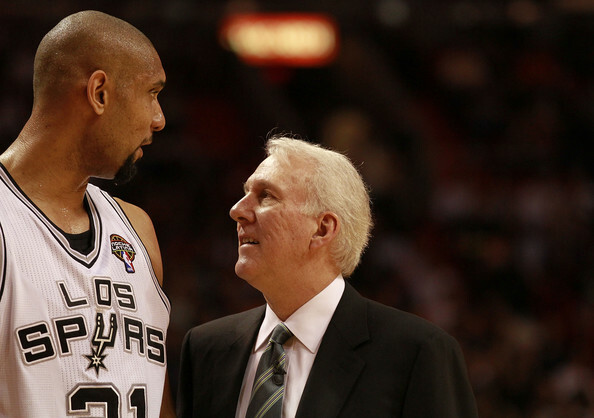 The San Antonio Spurs have been one of the most successful NBA teams over the last decade-plus and Greg Popovich has relied on defense and the brilliance of Tim Duncan to get the job done. But after failing to have much postseason success in the last two years and due to the advancing age of Duncan, the 2010-11 version of the Spurs have become a much different team. Gone are the days of the Spurs relying on defense to win ball games. This season, the Spurs looked to push the tempo and take advantage of the fact that Tony Parker and Manu Ginobili are one of the best back courts in the NBA while also relying much more heavily on the three-pointer. If he wasn't 6'10'', Matt Bonner would look more like a math teacher than a basketball player, but the rather unsuspecting six-year pro was the best three-point shooter in the league this season, hitting an incredible 45.7 percent of his long range attempts. When you throw in Richard Jefferson and Gary Neal, both of whom shot well over 40 percent from three and add to the mix the solid outside shooting of George Hill and Ginobili, it's pretty easy to see why Popovich has adapted to this new style of play. It definitely served San Antonio well in the regular season as they shot their way to an impressive 61-21 record despite the fact that Duncan posted career lows in points, rebounds, and minutes per game in his 13th NBA season. The Spurs have undergone a face-lift this year and while it worked during the regular season, not many teams have had much success in the playoffs trying to simply outscore their opponents. Further complicating matters is the fact that Ginobili is still hampered by a sprained elbow which forced him to miss the Spurs surprising game one loss to the Memphis Grizzlies. San Antonio is a much different team than we've seen in year's past under Greg Popovich and while their lack of size and influx of productive guards certainly explains the changes that the team has made, it will be interesting to see if they can have success in the playoffs utilizing a style that the San Antonio teams of the past often triumphed over. 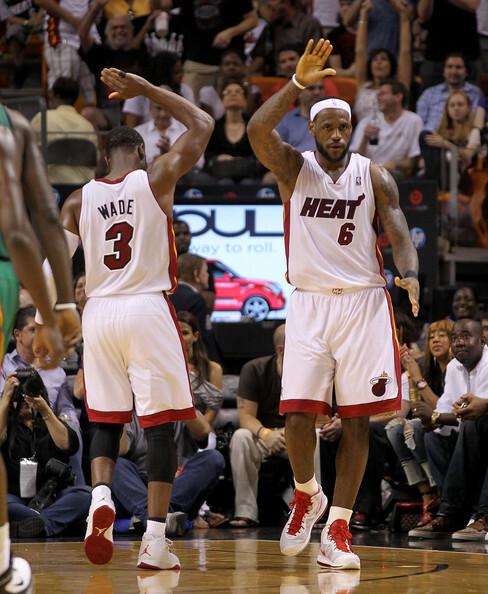 It's not much of a stretch to say that the 2010-11 Miami Heat were the most hyped team in NBA history. When one of your free agent signees orchestrates an hour long special to announce that he's going to play for your team and then you hold a victory celebration for your fans before you've even played a single game, it's easy to see why there was so much hype surrounding the Heat this season. Despite the fact that some analysts stated that the Heat would break the Chicago Bulls single-season win record, it wasn't all smooth sailing for Miami. There was definitely a comfort level that needed to be negotiated between LeBron James, Dwyane Wade, and to a lesser extent Chris Bosh, as you might expect when three players of this caliber are attempting to share the court for the first time. Because of how this trio was formed, the media has paid extra close attention to the Heat and even the smallest incident was often blown out of proportion. The Heat certainly knew they were going to be scrutinized for every little thing they did this season but the hype which has followed LeBron, Bosh, and Wade around all season is unlike anything any NBA team has experienced in a very long time. The Heat dealt with the hype and actually won a few games during the regular season, 58 to be exact, but the same hype which surrounded them all season will only intensify as the NBA playoffs ramp up. It will be interesting to see if Miami can continue to deal with the hype while they try to bring another NBA title back to Miami. We've all heard about the fact that the Boston Celtics never lost a playoff series when they had a healthy starting five of Garnett, Allen, Pierce, Rondo, and Perkins. A very impressive achievement to be sure, and one that made Danny Ainge's decision to trade Kendrick Perkins to the Oklahoma City Thunder such a shocking move. In the wake of that trade, things got very emotional in Boston as the Celtics came to terms with losing a player who had been one of the keys to their recent success. Perkins wasn't just Boston's enforcer who made them a very physical and defensive minded team, but he grew up in the Celtics organization after they acquired him straight out of high school. One of the biggest reasons why the Celtics were such a great team was because they were a very close group of guys and it obviously showed in the way the team reacted after the news of the trade had been announced. On the court, Boston went just 15-12 after Perkins was traded and it certainly seemed like something was missing from a team which has legitimate NBA championship aspirations once again. To be fair, Boston played a majority of the 2010-11 season without Perkins and they still looked like one of the best teams in the NBA while he was rehabbing the knee he injured in last season's NBA Finals. Even without Perkins, the Celtics are an experienced and talented team that should be able to move on without one of their core players, but the playoffs are no time to be battling thoughts of what could have been if Perkins were still on their roster. Everyone knows that Dwight Howard is one of the most dominant players in the NBA, but his supporting cast really isn't doing him many favors. 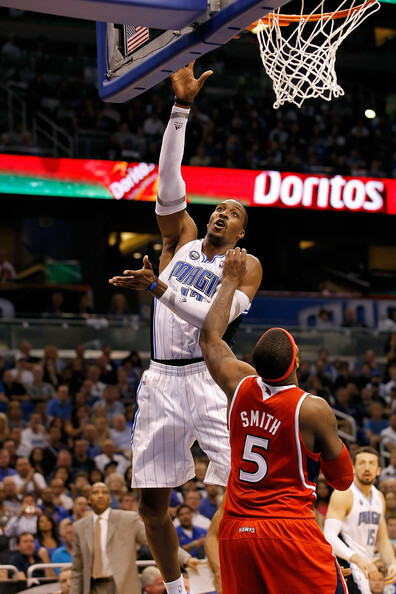 In the Magic's first playoff game against the Hawks, Howard went off for 46 points and 19 rebounds but Orlando still lost by 10 because he didn't get very much help from those around him. Outside of Jameer Nelson who had 27 points, the rest of the players on Orlando combined for just 20 points on 8/33 shooting which included a disappointing 2/14 from behind the arc. It makes perfect sense to surround a dominant post player like Howard, who demands double teams, with perimeter shooters like Jason Richardson, Hedo Turkoglu, J.J. Redick, Ryan Anderson, and Jameer Nelson. This combination worked well enough during the regular season as the Magic posted 52 wins and earned the fourth seed in the East. But as we saw in their game one loss to the Hawks, Orlando is going to need other players besides Howard and Nelson to step up and it remains to be seen if the likes of Richardson, Turkoglu, Anderson, Redick, and Brandon Bass are capable of doing so. Things don't bode well for the Magic when you consider that the player formally known as Vince Carter averaged more points per game and had a higher PER on the Magic this season than either Turkoglu or Richardson did since they were acquired by Orlando. Dwight Howard is a dominant force on the basketball court but it doesn't seem likely that this team can go very far without getting some contributions from the players around him. George Karl and the Nuggets were finally freed from the dark cloud that the Carmelo Anthony drama had cast over Denver and after they traded away their superstar, the team posted an impressive 18-7 record. Once the Nuggets got rid of Anthony and added three starter caliber players in Raymond Felton, Wilson Chandler, and Danilo Gallinari to their roster, Karl suddenly had a very young, deep, and talented rotation that could run with anyone. Holdovers from the Carmelo era like Nene, Ty Lawson, J.R. Smith, Kenyon Martin, Chris Andersen, and Arron Afflalo have all shown that they can be effective and seemed to mesh fairly seamlessly with the new additions to the team. But as good as the new-look Nuggets have been since dealing Carmelo, it's very difficult to win in the playoffs without that superstar who can take control of a game late in the second half. The Nuggets have plenty of things going for them and they're definitely a scary team, but when the game is winding down, who is going to take control and lead this team to victory? George Karl has plenty of viable options, but it's been proven time and again that in the NBA playoffs you need those one or two superstars to lead your team to victory. There's no doubting how talented the Nuggets are, but in order to beat the Thunder and advance through the postseason they will need to do so without a true superstar which hasn't yielded much playoff success in recent NBA history. The continued development of the Oklahoma City Thunder this season earned them a 55-27 record which was good for the fourth seed in the Western Conference. Featuring Kevin Durant and Russell Westbrook, who are two of the brightest young stars in the NBA, the Thunder have the necessary firepower to compete with any team they will come across this postseason. They also added the aforementioned Kendrick Perkins to pair with Serge Ibaka under the basket to make one of the more intimidating and defensive minded front courts in the NBA. There really isn't any reason why the Thunder shouldn't win their first playoff series since they were the Seattle Supersonics and because of what Durant and Westbrook are capable of, this team is absolutely a threat to the Lakers chances at a three-peat. 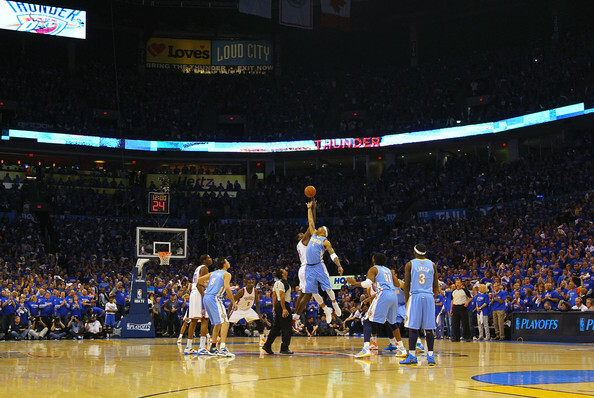 Russell Westbrook: 22 years old, three playoff wins. Thabo Sefolosha: 26 years old, nine playoff wins. 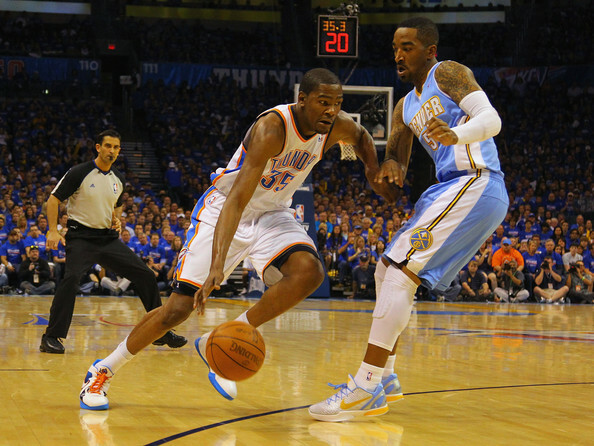 Kevin Durant: 22 years old, three playoff wins. Serge Ibaka: 21 years old, three playoff wins. 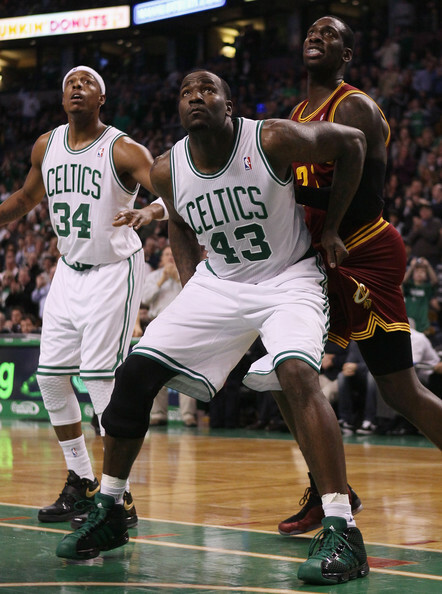 Kendrick Perkins: 26 years old, 42 playoff wins, two NBA Finals appearances and one championship. James Harden: 21 years old, three playoff wins. Nick Collison: 30 years old, nine playoff wins. 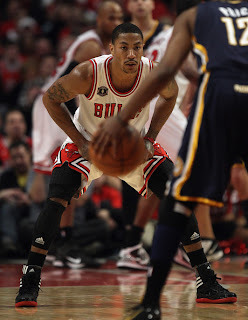 Eric Maynor: 23 years old, three playoff wins. The first thing that jumps out at you, besides how good that Perkins trade continues to look, is that the Thunder are an extremely young team which consists of quite a few players who have yet to win a single playoff series. Durant and Westbrook aren't even 23 yet and while they're as talented as any duo in the league, teams that are led by players who are barely legally allowed to drink don't often fair very well in the NBA playoffs. You can't doubt how much talent and potential the 2010-11 Oklahoma City Thunder possess, but they certainly lack playoff experience which may be something this team struggles with if and when they reach the later rounds. When you post the best record in the NBA and have the probable MVP on your roster, there are going to be some pretty lofty expectations for your team in the playoffs. It certainly isn't a stretch to say that the 2010-11 Chicago Bulls have the highest expectations of any team they've assembled since Michael Jordan was wearing red and black. 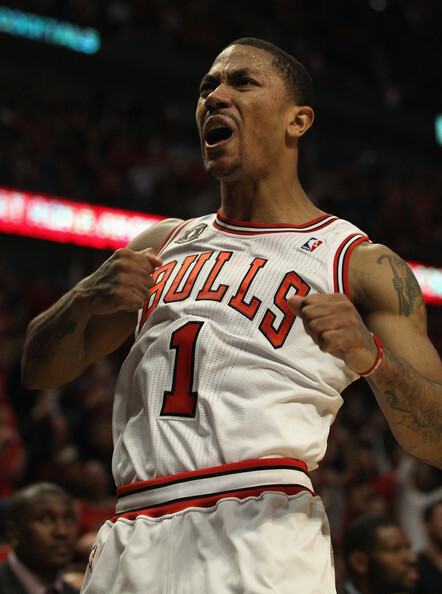 Derrick Rose had an unbelievable season in which he cemented himself as one of the top players in the NBA and when you combine that with a very good supporting cast and Tom Thibodeau's defensive brand of basketball, the Bulls have to be considered a title contender. There's no shortage of talent on this Chicago roster and winning 62 of 82 games during the regular season certainly shows that this team is as good as any in the NBA. But the question becomes, are they ready to handle the lofty expectations that they enter the 2011 postseason with? The Bulls are no longer a team that is simply happy with a playoff berth and they are far removed from the painful rebuilding process that they endured after Jordan, Pippen, and Phil Jackson left the Windy City. For good reason, big things are expected of this Chicago team in the 2011 playoffs which will only add to the already pressure-filled postseason. They are absolutely good enough to go deep into the playoffs but that is what is expected of the Bulls this season, which is something that few players on their roster have dealt with in their careers thus far. The Dallas Mavericks quietly put together another terrific regular season despite the fact that they were often overshadowed by the play of the Spurs, Lakers, and Thunder in the Western Conference. 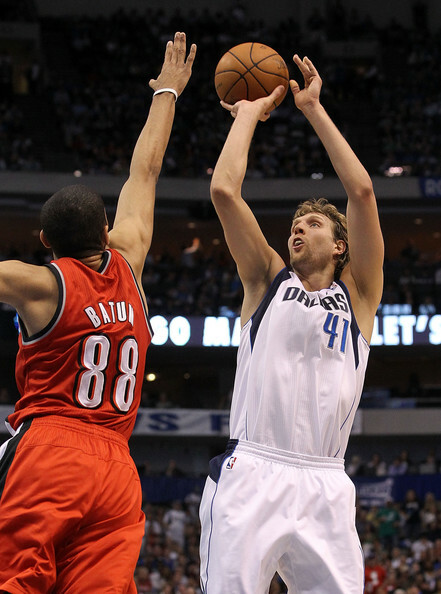 Dirk was his usual unstoppable self and he notched his seventh consecutive season of averaging at least 23 points per game while remaining one of the toughest players to guard in the NBA. The injury to Caron Butler was a blow to the Mavericks chances this postseason, but they still won 57 games and have to be taken seriously as a threat in the Western Conference. As good as the Mavericks have been over the last decade, it's yielded just two trips to the Western Conference Finals, one visit to the NBA Finals, and no championships. With the exception of the team that nearly won the title in 2006, the Mavericks of the last ten years could be aptly described as being very good but not great and a team which always came up short in the playoffs. For a franchise that has consistently won over 50 games and made the playoffs every season for the last 11 years, it's become their M.O. to simply not have enough to get to the top. More recently, they've bowed out of the first round of the playoffs in three of the last four years after winning 67, 51, and 55 games during the regular season. As Dirk and Co. embark on another postseason filled with promise, it remains to be seen if they can buck their playoff history and finally win it all.